Gratins are simple to prepare, tasty and an easy method for cooking lots of healthy vegetables. 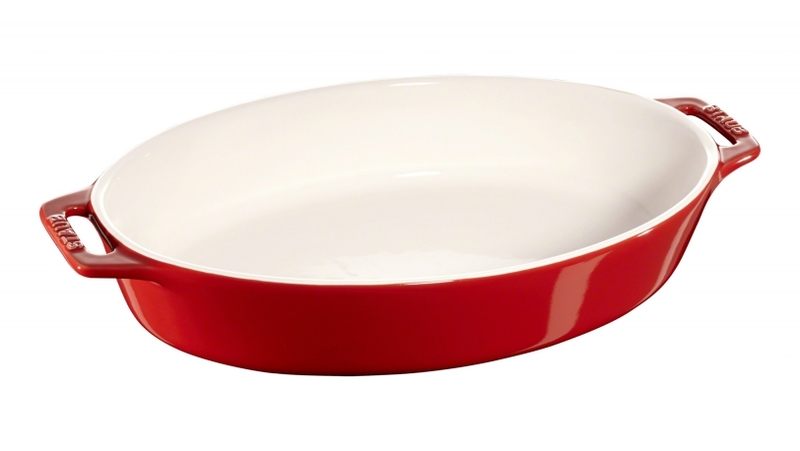 The 29 cm, oval-shaped gratin dish from the Ceramics range is ideal for preparing gratins. It is made out from premium ceramic with the ideal properties for making oven-baked meals. Ergonomically designed handles enable easy usage. Its cherry colouring ensures that the product makes a good visual impression. The gratin dish from Staub makes cooking and baking a pleasure.